I'm creating this CR thread to document all CR patterns. I have seen some patterns in CR Qs that are repeated quite often. While some CR patterns have been discussed in details, there are many patterns that people haven't noticed since they haven't been discussed anywhere. I believe that you can really improve your timing for CR if you can spot patterns. I encourage everyone to use this thread to post any pattern that you identify while practicing CRs. I would really appreciate if some experts could discuss the CR Categories (Analysis/Critique vs Construction/Plan) and share some unknown patterns that might be helpful for everyone to know. "Life expectancy" is the average age at death of the entire live-born population. In the middle of the nineteenth century, life expectancy in North America was 40 years, whereas now it is nearly 80 years. Thus, in those days, people must have been considered old at age that we now consider the prime of life. I was wondering if someone could go in depth discussing the 2 CR categories that are seen on ESR. Currently, we have enough books/courses/posts discussing CR types such as Assumption, Inference, Weaken and so on. I'm not sure how those CR types would fit in these categories. 1) The Critical Reasoning Analysis/Critique graph displays the percentage of questions answered correctly. Problems in this category test your ability to analyze the information given to you in the passage and carefully make reasoned judgments demonstrated by evaluating and breaking down an argument. 2) The Critical Reasoning Construction/Plan graph displays the percentage of questions answered correctly. Problems identified in this category test your ability to use the information given in a passage to construct a plan of action for find the best logical solution. Are you looking for advice on how to improve in GMAT verbal? 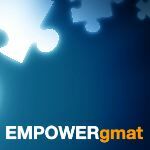 Rather than 'piggyback' on this thread, I suggest that you start a new thread that provides a bit more information on how you've been studying, your Score Goal, when you want to take the GMAT, etc. If you'd like to discuss any of that privately, then you can feel free to PM or email me directly).